A client sent me these photos and said other VW Beetle owners would love these. You will need to purchase a Wiz-Gear magnet from Amazon if you intend to put one in your car. (https://amzn.to/2TXJcOd). It is $7.99. Thoughtful gifts never go out of style. If you have someone who's impressed with unusual or custom-made gifts, this set of three magnetic flower vases will show them how important they are to you. 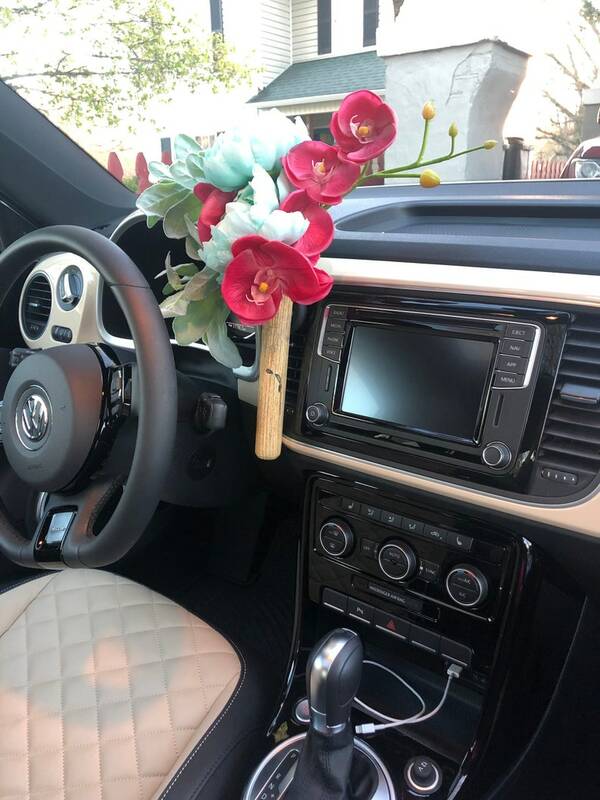 Ideal for a single-stem beautiful flower, its simple design combines the natural elements of wood and fresh blooms to create a one of a kind magnetic flower vase. A plastic test tube sits inside the wood to hold water, keeping a flower fresh for days. Also perfect for dried flowers. Rare earth magnet holds up to three pounds. As a gift, you need not worry. Everything I make is made-to-order, so feel free to tell the recipient that you had this handmade just for them. Need another reason to place an order? Gift-wrapping is always free. "The magnetic vases are perfect. I ordered two sets as gifts. I love that the wood is reclaimed and that each one is unique, yet still matches the others. I look forward to ordering again from Jenn in the future! Truly, thank you for sharing your gifts! 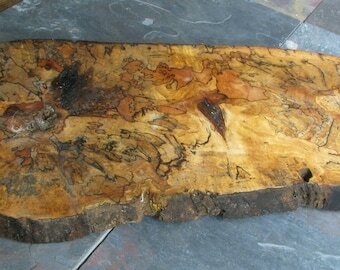 "- Leigh S.
We work exclusively with discarded wood, the majority of which spalted. 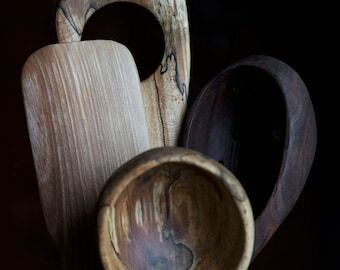 Caught at just the right time, spalted wood is magnificent to look at, lasts for generations and ensures that each piece is one-of-a-kind. To care, wash with mild soapy water, rinse and dry immediately. To restore the finish, occasional wipe down with walnut oil. They are 6" tall and 1.25" in diameter, and will take 1 week to complete. To see more of my kitchen items, make sure to visit my shop: https://www.etsy.com/shop/RoosterStudios. LOVE my new flower holder!! Thank you so much! It is so cute! These are THE most beautiful vases! A stunning addition to our home & VW! Incredible craftsmanship & exquisitely packaged! We ordered 14 of these magnetic vases as client holiday gifts and our clients LOVED them! They arrived exactly when we needed them, in perfect condition, and communication w/ Jennifer, the owner, was terrific. We could not be a happier corporate client! Such a unique gift; Rooster Studios made us look great.